On select dates between Thursday 22 November and Monday 1 January visitors can journey through the Zoo on a festive Christmas light trail, experiencing the landmark in a different light at night. Guests will get to enjoy series of illuminated animal sculptures, light tunnels and Christmas surprises. 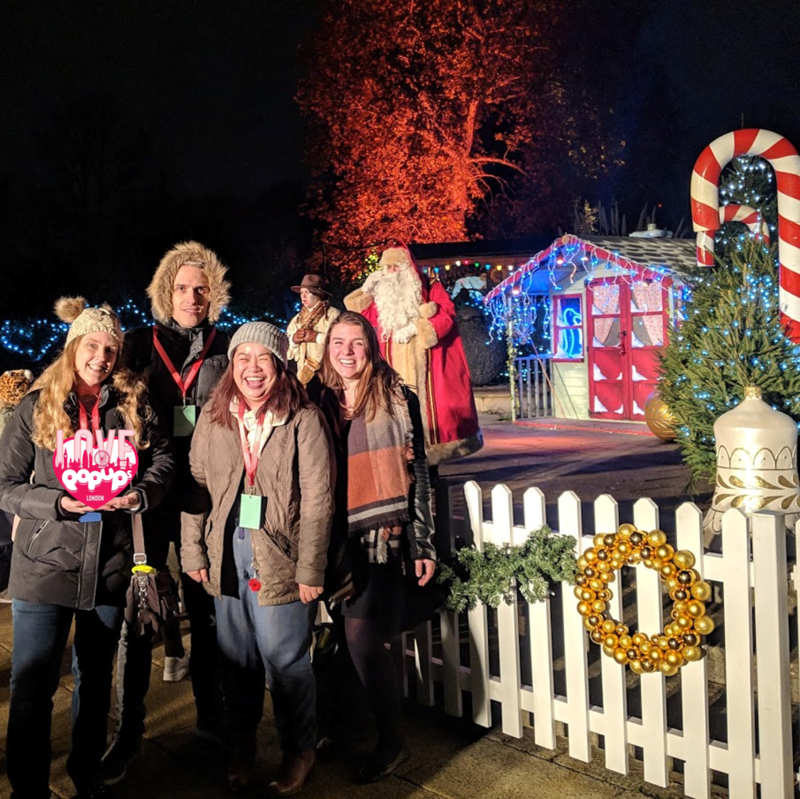 Head Whilst adventuring through why not enjoy a warming glass of mulled wine or hot chocolate, from the Zoo’s Christmas village for traditional treats including toasted marshmallows and roasted chestnuts. Thanks to London Zoo for letting me and some other members of the community of Love Pop Ups London come down on this magical journey. Read our blogs / reviews from the comments section below.